Protesters rush to leave area as vandals started busting storefront windows along Delmar Blvd. 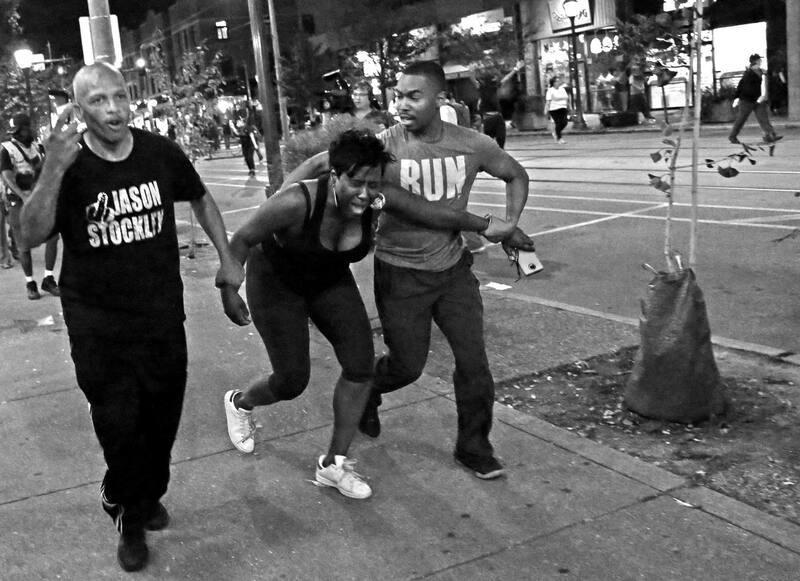 as unrest breaks out during a protest over the Jason Stockley verdict on Saturday, Sept. 16, 2017, in the Loop. Police pepper sprayed and threatened to us chemical agents to disperse the gathering.